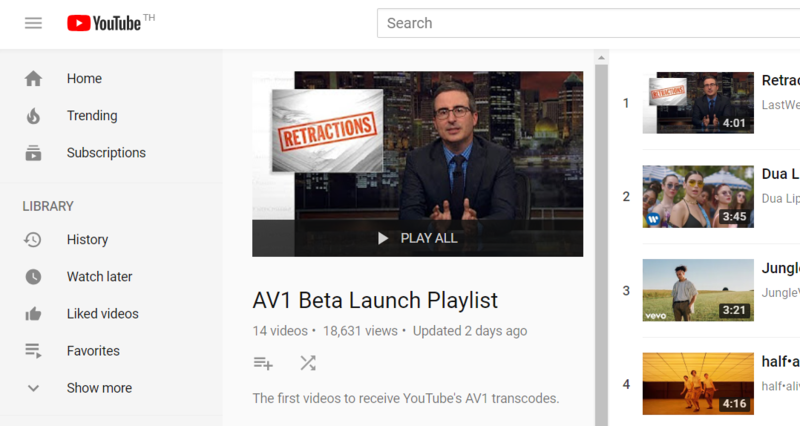 Using a supported browser and choosing the 'Prefer AV1 for SD' setting on youtube.com/testtube, you should see AV1 used for these videos when playing less than 480p, switching to VP9 for higher resolutions. ได้เวลาเปลี่ยนการ์ดจอ ให้เป็นรุ่นที่ support อีกแล้วสินะ มีค่ายไหนประกาศการรองรับบ้างยัง? Currently and in general, target devices supported include any device that can decode VP9 Profile 2 and output to an HDR display. Chrome 64 Canary on Windows 10 Fall Creators Update, with HDR flag turned on. (This is a good debugging tool).